You never want your child to break a leg, that is, unless he’s walking on to the stage. Jack’s been in the entertainment business since he was three months old. “Every parent thinks their child’s cute, and everyone else tells you your child’s cute,” says Bari. “You instantly wonder if he (or she) is model material.” The Corbins, both Bari and husband Bruce, put Jack in front of agents and he quickly landed a contract with GenerationTV, appearing in ad campaigns for national brands such as Osh Kosh, Gap Kids and Macy’s, to magazine covers like Vogue Bambini. As a toddler, Jack grew up on photo shoot sets, so it seemed intuitive as he got older that he should take the leap into acting. He did, with enthusiasm, determination and dedication landing roles in NBC/Universal’s Mr. Robot, HBO’s How to Make It In America and Last Week Tonight with John Oliver. He continued to bolster his resume with commercials for networks such as Nickelodeon in addition to being cast for short films and off–Broadway stage productions, eventually earning his SAG-AFTRA card. 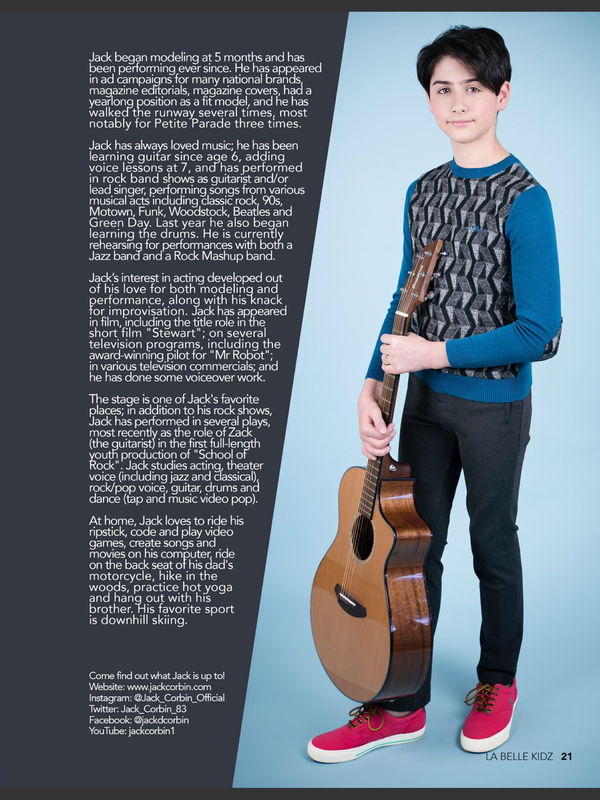 Jack is now focusing efforts on honing his vocals and musical interests with guitar, drums, keyboard and a little piano. 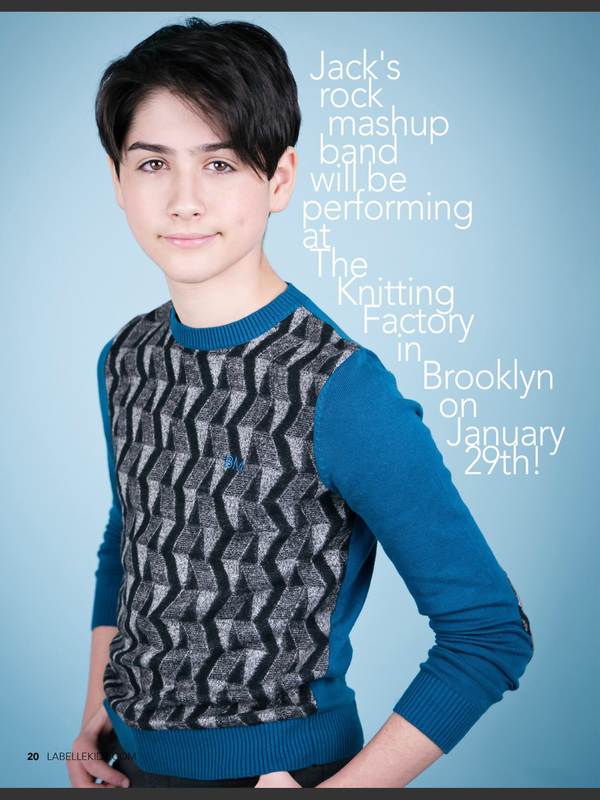 He attends School of Rock in New York City and recently took the stage, with his band, for a two-hour tribute concert performing Beatles covers at Brooklyn’s hip venue, the Knitting Factory. His Julliard alum vocal teacher is nudging him to sing classical, but it’s not going over in any kid-friendly way. “I don’t really like it. It’s not a music genre I would be interested in, but I get that it helps my training,” says Jack. He recently performed cabaret at The West End in NYC, a genre he does enjoy. 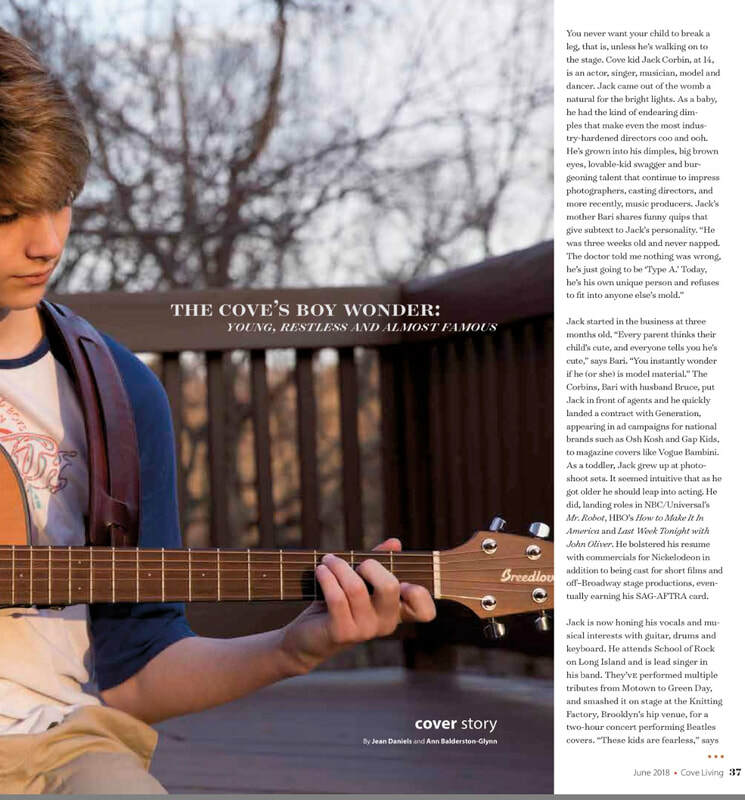 “Not only did I get to perform with one of my very best friends,” exclaims Jack, “But, I also got to play a new guitar riff with ‘Just Breathe’ by Pearl Jam.” Jack recently won the American Protégé Vocal Competition, and will perform this month at the Summer Gala at Stern, Carnegie Hall singing “Beautiful City” from the musical Godspell. He also has a demo project in the works with Sony Music. Once the song is written, he’ll be in the studio recording for an eventual iTunes, Spotify and radio-ready soft release. The parent of a child actor is the point person in the professional world, in addition to the already-staggering duties of parenting in general. The Corbin’s youngest son Luke is talented in his own right but has no real interest following in his brother’s footsteps, which helps to dial down the crazy. Daily shuttling into the city is a full-time job. “You constantly check your phone for emails or texts from agents and managers,” says Bari. Then there’s the “stage mother” label that comes with the job. However, agents will be the first to affirm that there must be a strong bond between the parent and child in order to advocate and navigate within the industry. The label should be worn as a badge of honor rather than perceived as a negative stereotype. For Bari and Jack, the bond is tight. They support one another on long days that might include traveling back and forth to lessons and auditions three and four times in a day, and running lines in between. Jack is truly a boy wonder. With his vast experience, it’s easy to forget he’s only 14. Not yet a household name, but almost famous. 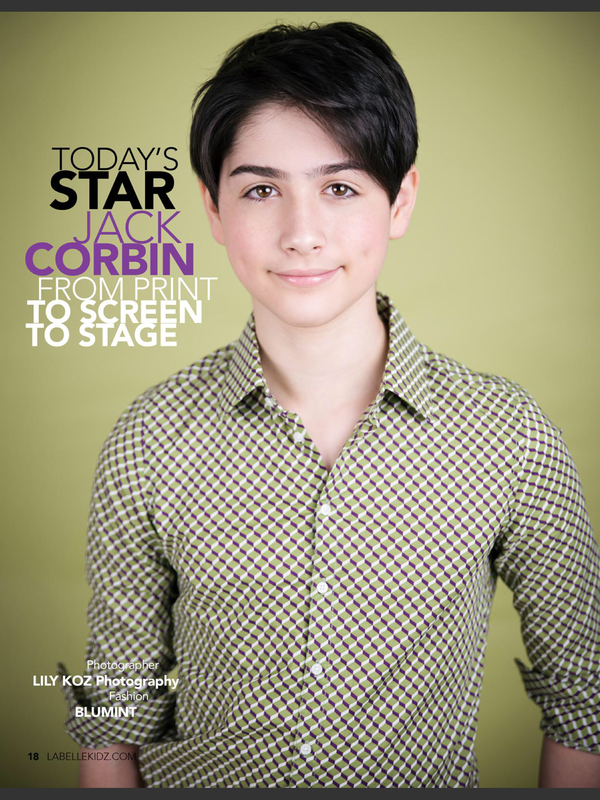 Keep an eye out for Jack Corbin—his star is on the rise with a great shot at walking the walk…of fame. Jack began modeling at 5 months and has been performing ever since. He has appeared in ad campaigns for many national brands, magazine editorials, magazine covers, had a yearlong position as a fit model, and he has walked the runway numerous times, most notably for Vogue Bambini/Petite Parade three times. 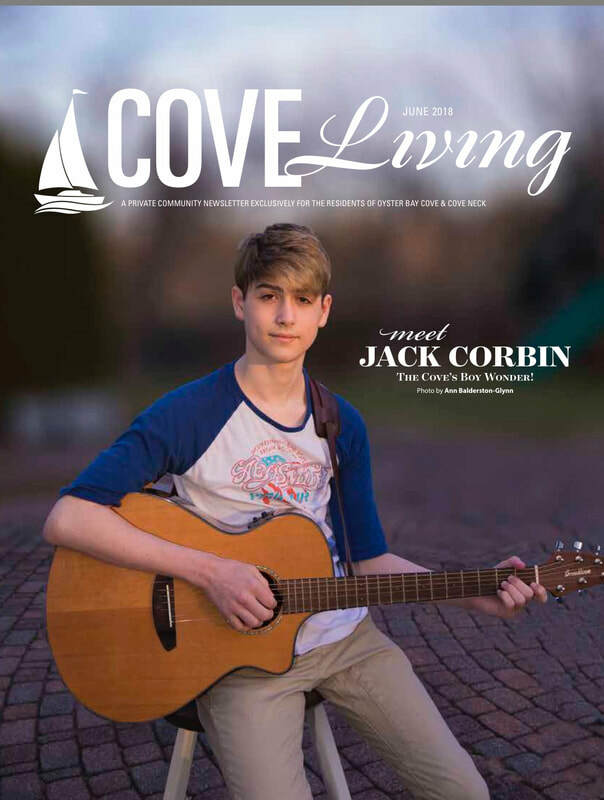 Jack has always loved music; he has been learning guitar since age 6, adding voice lessons at 7, and has performed in rock band shows as guitars and/or lead singer, performing songs from various musical acts including classic rock, 90s, Motown, Funk, Woodstock, Beatles and Green Day. Last year he also began learning the drums. He is currently rehearsing for performances with both a Jazz band and a Rock Mashup band. Jack's interest in acting developed out of his love for both modeling and performance along with his knack for improvisation. Jack has appeared in film, including the title role in the short film "Stewart"; on several television programs, including the award-winning pilot for "Mr. Robot"; in various television commercials; and he has done some voiceover work. 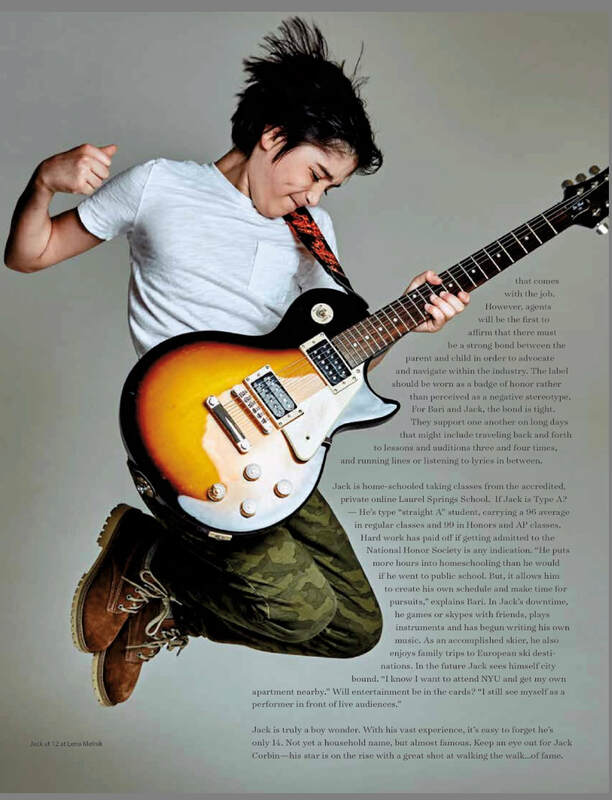 The stage is one of Jack's favorite places; in addition to his rock shows, Jack has performed in several plays, most recently the role of Zack (the guitarist) in the first full-length youth production of "School of Rock". 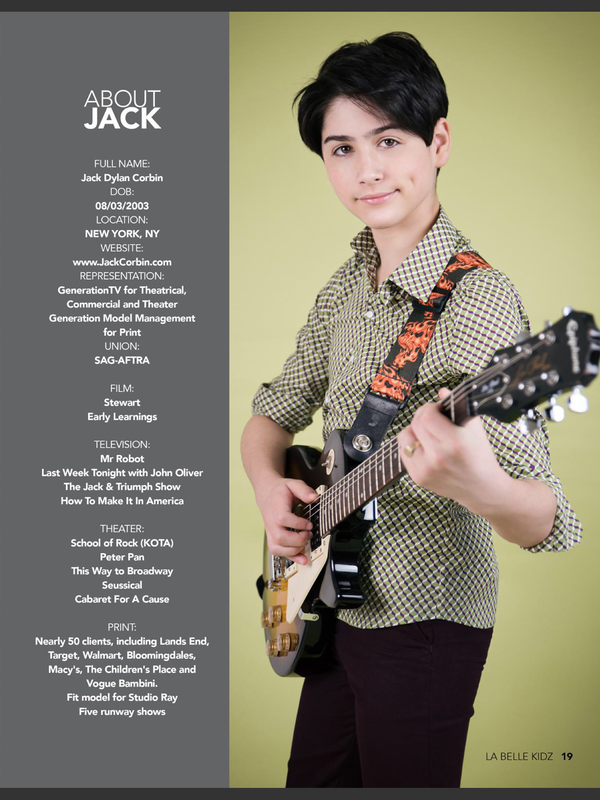 Jack studies acting, theater voice (including jazz and classical), rock/pop voice, guitar, drums and dance (tap and music video pop). 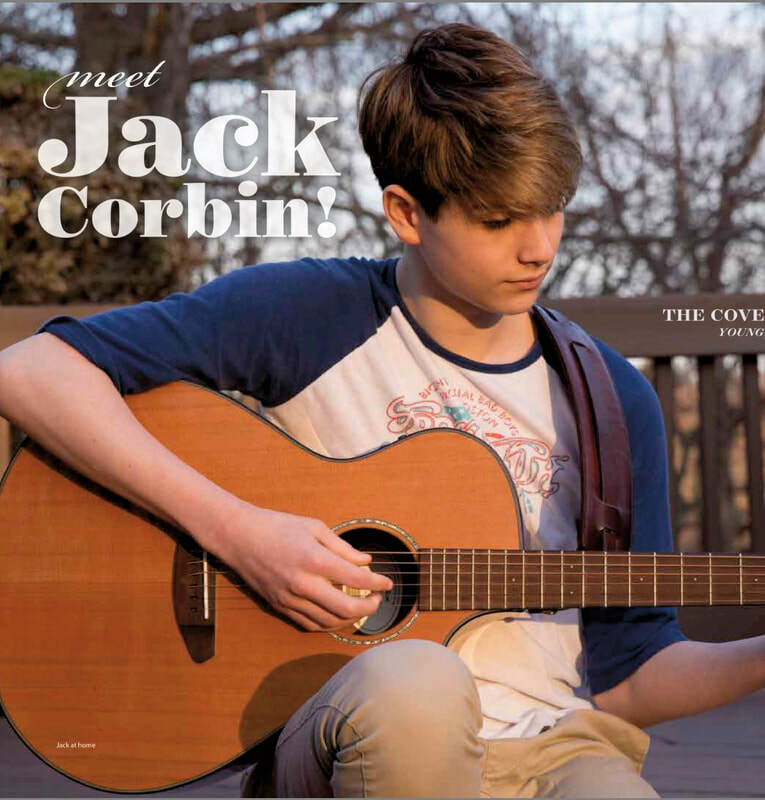 At home, Jack loves to ride his ripstick, code and play video games, create songs and movies on his computer, ride on the back seat of his dad's motorcycle, hike in the woods, practice hot yoga and hang out with his brother. His favorite sport is downhill skiing. PRINT: Nearly 50 clients, including Lands End, Target, Walmart, Bloomingdales, Macy's, The Children's Place and Vogue Bambini. Fit Model for Studio Ray. Five runway shows.